According to a recent study from Deezer cited in Business Insider, our musical tastes peak sometime in our early to middle teen years when our hearing is at its best and hormones are raging. By age 30 (a very adult number I will hit later this fall), the study suggests, most people stop listening to new music altogether because of a number of factors. Cognitive scientists have found hearing familiar music not only triggers our memory centers but also releases pleasurable chemicals like dopamine and oxytocin, which is a big reason why we cling to the music of our carefree youth; all of our memories are literally chemically encoded it. It’s both time-travel and a cheap high. And when I need my fix, my musical drug of choice is Carly Simon’s 1975 greatest hits album, The Best of Carly Simon. Oh sure, like any Millennial who went to high school in the early-mid 2000s, I listened to my share of Top 40 acts like Green Day, Coldplay, The Killers, Beyonce, and Kelly Clarkson. My tastes also skewed toward indie and adult alternative, so Ben Folds, Death Cab for Cutie, Amy Winehouse, Keane, and Feist all got plenty of play too. Any one of these artists triggers an immediate emotional response. Yet, it’s Carly Simon — a singer-songwriter most popular when my mother was a teen — that takes me back to my own teen years faster than any other artist. And my mother is right. (You hear that, Mom? Write this day down!) What makes Carly Simon great is how she makes the deeply confessional accessible, which is absolutely perfect when you’re a hormonal teenage girl with a lot of feelings you aren’t sure how best to express. Whereas Joni Mitchell’s gorgeous lyrics might feel a bit too poetically abstruse for lots of teens, Carly Simon’s hit the sweet spot between the poetic and the prosaic: They brim with a kind of artful candidness about relatable subjects like burgeoning womanhood and falling in/out of love. Who can forget a line like “I had some dreams, they were clouds in my coffee” from “You’re So Vain.” And given Simon’s vocal range sits a bit lower in the voice than a lot of popular female artists, her music proves easier to sing along to (excepting those impressively low notes in “We Have No Secrets” and “Night Owl”) while doing your homework or sitting in the car. That’s where I first met Carly Simon: the passenger seat of my mother’s car as she drove me to school, dance classes, doctor’s appointments, play rehearsals, the mall, sleepovers, etc. The Best of Carly Simon was always in heavy rotation on mom’s car stereo, so in no time at all, I knew every word as well as my mother. We’d sing loudly along to “Legend in Your Own Time” and “Right Thing to Do,” adding our own harmonies and sometimes even mimicking Carly’s unique vocal stylings. It didn’t matter if we felt happy or sad or that my mom and I were in very different stages of life, Carly’s music was a catch-all; it always seemed to provide a musical catharsis of some kind for us both. These are among my fondest, most vivid memories from my early teen years: my mom and me in the car with Carly as our unofficial third passenger, beckoning us down the road of life. As I’ve gotten older and accrued more life experience, the songs on The Best of Carly Simon have, of course, taken on deeper meaning for me. “That’s the Way I’ve Always Heard It Should It Be,” a song full of ambivalence about the expectations and acceptance of traditional adulthood, definitely sounds very different at almost-30 than it did when I was 13. I more acutely understand the specific anxieties Simon (then in her late twenties) wrote about as I ponder my own expectations of adulthood. Still, part of me will always be that carefree 13-year-old girl sitting in the car with my mother, singing my guts out to music from my mom’s youth. 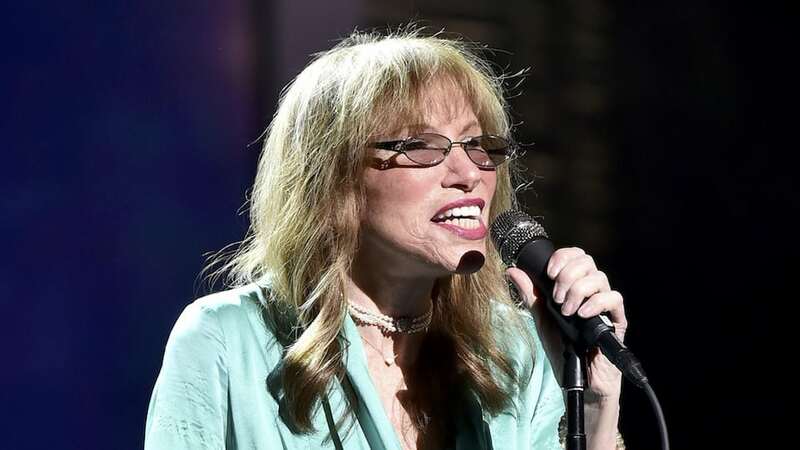 We may be from different generations, but Carly Simon’s music was the bridge between my mother’s adolescence and mine — and a bridge to our own female adulthood. Photo Credit: Picture of Carly Simon by Theo Wargo/Getty Images for Tribeca Film Festival 2017. Crying buckets of tears as I flashback to some of the BEST days of my life…..harmonizing to my favorite artists with my favorite gal! Crying buckets of tears as I flashback to memories of harmonizing to my favorite artists with my favorite gal. 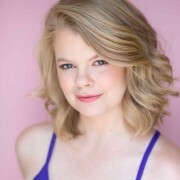 What a wonderful article, sweet Emmy! So blessed to have enjoyed the same musical tastes on our many road trips together.